We are always looking for volunteers to help set up, serve and or clean up for funeral lunches. St. John's Parish, Campus Ministry, the Jesuit Community and Lutheran Campus Ministry host a dinner for students who are not able to travel home for Thanksgiving. This is held the Wednesday evening before Thanksgiving. Stay tuned for opportunities to volunteer at our 2018 Picnic. More information will be coming soon. Hospitality Committee meeting... we are always looking for others to join our committee! 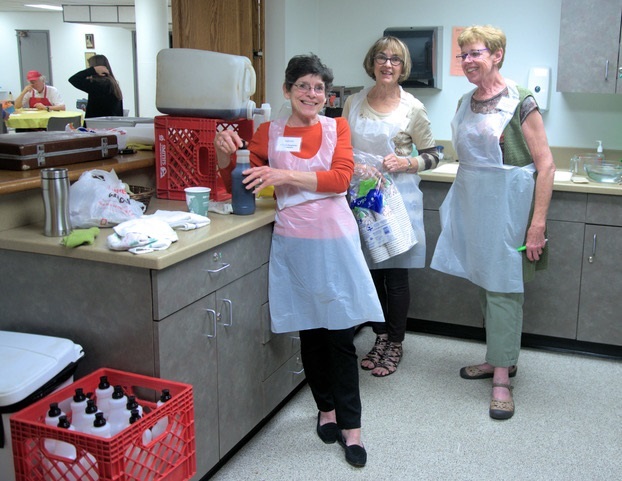 The goal of the Hospitality Committee is to promote a sense of community in our parish. Compassionate Response sub-committee responds to those in the parish who lose a family member with a written note of condolence and to those who are ill or hospitalized with a note of comfort and encouragement. Meetings are held the second Monday of the month at 7:00 in a private dining room at New Cassel Retirement Center, 900 N. 90th Street, in Omaha.